What went wrong at San Onofre last January is a classic tale of the abuse of power. San Onofre should be decommissioned (dismantled). It should never be allowed to restart. Nuclear power plants generate heat by bombarding "fissile" atoms (such as uranium-235) with neutrons. When the atoms are split, more neutrons are released, which then split other uranium atoms in a sustained "chain reaction." The heat energy released by this process is used to boil water to produce steam to turn a turbine which produces electricity. The process is inherently dangerous, inherently dirty, and inherently very profitable -- if you don't have to pay the additional costs of: Accidents, cancers from routine releases, or the safe storage of the nuclear waste stream for thousands upon thousands of years. However, somebody will have to pay all these costs. Catastrophic, globally-impacting accidents are inevitable, as the world has seen four times in the last three decades: Three times in Fukushima and once in Chernobyl, with many "near-misses," many of which have been hidden from public scrutiny, and countless less serious -- but still very serious -- smaller accidents. San Onofre Nuclear Generating Station really should be called San Onofre Nuclear Waste Generating and Storage Station. Currently over 1,400 tons of "used fuel" is stored on site at San Onofre. To grasp how vast a quantity that is, one has to consider the lethality of radioactive elements. A few millionths of a gram of plutonium for example, is enough to guarantee lung cancer if it ends up in someone's lungs. It can enter the lung as one "hot particle" or as millions of smaller particles. It's deadly either way. Plutonium is approximately 200,000 times more deadly than uranium, and many fission products are even deadlier than that, pound for pound (or rather, microgram for microgram): Radioactive cesium, strontium, polonium, iodine, and many others. Ever since January 2012 when recently-replaced steam generators at one of the two reactors at San Onofre sprung a leak, SanO hasn't been operating. It hasn't been generating waste, and it hasn't been generating electricity, either. The lights in Southern California have stayed on throughout the hot summer months, and the electricity grid is stable -- not counting the earthquakes. There is no need to restart SanO and plenty of reasons not to. However, the utility company that owns and operates the plant is hurting for profits for its shareholders, and would desperately like to get San Onofre operating again. That may be impossible without somebody spending close to a billion dollars to repair the twin reactors. But who will spend that money? The utility would like it to be the ratepayers, not the shareholders. The state regulators, the California Public Utilities Commission (CPUC), made the ratepayers pay -- and are still paying every month -- for the first set of replacement steam generators, at a cost of nearly a billion dollars. Since the almost-new parts have failed unexpectedly early, it will presumably cost about the same amount to restart the reactors again, plus the cost of replacement fuel for several years during the outage -- and plus the extra costs of not cutting so many corners and doing it right. This is outrageous! The citizens of SoCal, one of the most beautiful places on earth, are put at great risk by San Onofre. It doesn't generate cheap power, it's the most expensive power in the world (when all the costs to society are taken into account). And it's obviously not reliable -- reliable "base load capacity" has always been a claim of the nuclear industry, even though capacity factors are rarely as high as with traditional gas, coal or oil power plants, let alone hydro power or many renewable alternatives. True, the wind doesn't blow all the time and the sun doesn't shine every day -- and lately, the rains don't even come -- but when those things do happen -- when the wind blows or the sun shines or the rains fall -- the energy sources are extremely reliable, and stored energy systems such as pumped water, flywheel, pressurized air, or even chemical processes (batteries) can give renewable energy systems virtually 100% uptime. Nuclear can NEVER achieve that; it has never even come close. What went wrong at San Onofre last January is a classic tale of the abuse of power. It was the culminating event in a long series of missteps by the utility. Eager to replace approximately a billion dollars in parts prior to license renewal (so they could say they were ready and able to operate for another 20 years), the owner/operators redesigned crucial parts of the reactor that were failing prematurely. The parts, called steam generators, consist of nearly 10,000 very thin metal tubes inside a very large (the size of a school bus) container. Inside the tubes is "primary coolant" directly from the reactor core. Outside the tubes (but inside the steam generator) is water which turns to steam as it rises. Both are normally closed, pressurized loops. A third open loop of sea water is used to condense the steam after it goes through the turbines. All three loops are fed by massive pumps which must continuously operate, using "offsite power". At San Onofre the pressure differential between the primary and secondary loops is about 1,000 pounds per square inch. The primary loop normally operates at about 2,200 p.s.i.. There are two steam generators for each of the two reactors at San Onofre, and all four steam generators were replaced within the last two years. All four have shown significant, unusual wear since then, and on January 31st, 2012, one of the tubes in one of the steam generators sprung a leak. Since that day, San Onofre's owner/operators, Southern California Edison, have tried to come up with a plan to "safely" restart the reactor. Of course, they can never be operated safely, because many more things than just the steam generators can break catastrophically at a nuclear power plant, but ignoring that fact, as SCE does, SCE wants to at least run one of the reactors -- not the one that sprung a leak, that one's trashed -- at partial power, so they can make some money and, perhaps just as important to them, avoid an investigation by the CPUC of what went wrong (the CPUC has been so supportive of SCE's "need" to make a profit from San Onofre, that perhaps this was not a major concern, but it is always possible that an investigation would reveal something). By state law, the CPUC is required to initiate an investigation after nine months of unavailability of a power source it regulates. Nine months will be October 31st for the reactor that sprang a leak, and a few weeks sooner, mid-October, for the other reactor, since it was already closed for upgrades (and refueling) at the time the other unit sprang a leak. Subsequent inspections showed all four replacement steam generators to be seriously worn and degraded. But it's not just the premature wear that is the problem. It's the type of wear. Those nearly 10,000 tubes inside each steam generator have been vibrating uncontrollably and banging into each other in a cohesive and uniform -- and invariably very damaging -- coordinated pattern. When the decision was made to replace the old steam generators with new ones (so that during license renewal in a few years, SCE could claim the reactors are "ship-shape") a large number of design changes were made -- at least three dozen significant changes. The problem arose when they used a pair of computer programs to model the behavior of the fluids inside the steam generator. The incorrect mathematical calculations from one were carefully fed into the other, and everyone trusted the final computer output. It was off by approximately 300% to 400%. In fact, much more steam was produced lower in the tubes than expected, so that the mixture of steam and water was nearly all steam at the top of the U-shaped tubes. Steam doesn't dampen vibration nearly as well as water does because it's about 30 times less dense. Perhaps the problem could have been avoided if the steam generator replacement project had been accomplished through the appropriate regulatory channels, with public hearings about the exact design changes and a more careful scrutiny by the Nuclear Regulatory Commission. But instead, SCE chose to present the new steam generators as "like-for-like" replacement parts, which was hardly the case, and slipped it through with minimal regulatory oversight at the federal level, where "safety" decisions are made, and even less at the state level, where rate decisions (and little else) is decided. They were given about $670 million of ratepayer money to pay for the project. Properly submitting the new design as a truly new design for full and open regulatory approval would have required many more public hearings, but SCE said they had merely "improved" the alloy of the tubes, not even mentioning the fact that the new alloy is 10% less efficient than the old, leading them to add hundreds more tubes, and to make each of the tubes a little thinner, and to pack them all a little closer together: A recipe for the end result. The NRC, never an agency to push hard against ANY utility, went along with the "like-for-like" assessment. Where are we today? Unit 1 was closed for similar early wear problems in the steam generators in the early 1990s. Of the two remaining reactors at San Onofre, called Unit 2 and Unit 3, the one that actually leaked (Unit 3) apparently cannot be restarted at all unless the steam generators are replaced. Even SCE has all but admitted it, and "layoffs" of 730 employees, about 1/3 of their workforce, were recently announced and are expected to occur before the end of the year. SCE has been saying for several months that they would like to restart the other reactor at reduced power. But despite much talk, SCE has still not submitted a restart plan to the NRC. They cannot seem to find the "sweet spot for SanO" wherein they can assure the NRC that they can cool the reactor with only one steam generator, should one of them fail, as happened in January. Running at reduced power is one thing, but what if something goes wrong? So SCE appears to be between a rock and hard place, although there is talk of design changes which they are making and which -- again -- will avoid full public scrutiny before being approved (and they surely will be approved) by the NRC: The new changes would avoid full public scrutiny by being considered minor changes to the current design! There is only one logical, cost-effective, and safe solution: Keep San Onofre shut down forever. What could possibly be gained from rebuilding it and restarting it? It will just generate more waste -- 250 pounds per day per reactor. More than a ton per week for the two reactors combined. There still is no safe storage place for the "spent fuel" (used and very radioactive reactor cores). "Dry Casks" containing them will just keep piling up on our coastline as they do now. Meanwhile, an accident could require the PERMANENT evacuation of all of SoCal. It's not worth it to anybody -- except, and even this is now in doubt -- the shareholders of SCE and its parent company, Edison International. In Japan, where three of the four catastrophic meltdowns mentioned in the beginning of this article occurred (at Fukushima in March, 2011), nearly every reactor has been shut down, and the public has been protesting night and day, week after week to keep them closed. They've seen first-hand what happens when a reactor melts down: People are relocated, property is lost, crops are poisoned, and health problems multiply. Farm animals were cruelly abandoned to their fate (ropes the Japanese put on calves eventually cut into their mouths and slowly killed them, if they didn't die of starvation in their pens or barns first). Pets were left to open their own cans of pet food, when people were told they would be allowed to return after a few days and to leave their pets, but now it's clear it will be many generations before anyone can return to many parts of Fukushima. None of this had to happen, and it doesn't have to happen here. San Onofre doesn't have to become our Fukushima -- but it nearly did! If we keep SanO closed, we'll still have to worry about the spent fuel -- that's a huge problem and can also result in a catastrophic release of radioactive poisons. But at least the problem won't be growing, and at least there won't be any reactors to melt down, which are much more precarious. Time is the only thing that renders radioactive waste safe. San Onofre should be decommissioned (dismantled). It should never be allowed to restart. California Public Utilities Commission (CPUC) president Michael R.
he is now stalling an investigation of what went wrong at the facility. opinion, and then cut them off before they can give it. However, Peevey has (FINALLY) realized that San Onofre is in terrible shape. out of our pockets and into Edison's. President Peevey, your reputation is NOT on the line over San Onofre. recuse yourself from anything having to do with what's going on there. California. I came up here from Carlsbad to speak. It was your baby. You put it in. You told us that we needed it. be back up until... I mean it's going to be nine months in mid October. information to come out and we think the OII can help encourage that. Thank you. I have some documents I want to leave with you. I was told recently that "no one" in the legislature of California believes San Onofre Unit III can be restarted unless/until its steam generators are replaced. To this I replied, "No one else thinks so either." I believe all this talk about Unit II restarting should be stopped cold as well because, in fact, neither unit is capable of being safely restarted, where "safely" is defined by standard nuclear industry benchmarks. I believe the potential for the complete loss of a single Steam Generator in a two-steam-generator system with weakened tubing is utterly unacceptable. But that's the possible condition any restart of San Onofre's reactors leaves us in. In fact, at San Onofre it's almost the most likely point of failure, except for fire (with earthquakes, tsunamis, etc. also distinct possibilities). I believe Southern California Edison cannot merely put flow restrictors on the inlets to the Steam Generators in order to guarantee that excessive, vibration-inducing flow cannot occur, because then they won't have enough maximum potential flow rate to cool the reactor sufficiently with only the other Steam Generator, should one Steam Generator fail. But without the flow restrictors, a flow rate would be possible above that which ensures that there is little or no flow-induced turbulence (a chaotic flow pattern), and NO chance of fluid elastic instability (a coordinated flow pattern). I believe the reason SCE hasn't been able to come back to the NRC with a plan for restart as of this writing is that they can't find the magic "sweet spot" where the flow is restricted, but they could still cool the reactor sufficiently in an emergency with just one Steam Generator. I don't think such a combination of guaranteed low enough flow rates and guaranteed sufficient emergency cooling can be found. They may also be having a difficulty ensuring there are not similar flow-induced vibration problems within the reactor core itself, since a whistleblower, Dan Johnson, has been adamant in the news media comments section that such vibrations have been a persistent problem at SanO since Unit I. The difficulty of finding this "sweet (and profitable) spot" and other problems caused by SCE's failure to properly analyze their data during the design phase, their failure to properly inform both the NRC and the public about the extensive nature of the SG design changes, and the NRC's failure to independently analyze the new steam generator design has led to this billion-dollar boondoggle. The solution is to withdraw SCE's license. It should be noted that they also do not have a solution to their ever-growing used reactor core waste problem, and nor does the NRC. Our coastline is too precious and too packed with people for dry cask storage, wet storage, or any storage of nuclear waste. So shut down San Onofre permanently. The production of waste has stopped -- thank goodness -- and it should never continue. Restarting also violates the spirit of California's state law that prohibits "new" reactors because what is a reactor core except a new reactor every couple of years? I look forward to hearing the NRC response to these concerns. If they thought about it at all, most SoCal residents used to think of San Onofre Nuclear Waste Generating Station as reliable, although this view was false all along. The false impression was accomplished in part because when one reactor would go down, the other would usually stay up, so the unreliability was masked from public scrutiny. Refueling outages were planned accordingly. However, recent events have revealed the truth. A widespread blackout less than a year ago brought SanO down for about a week -- both reactors -- as will just about every type of major disaster conceivable, whether it's SanO's fault or not. San Onofre has to shut down if it loses offsite power, which is nearly inevitable in most major natural disasters. But even if SanO were more reliable, it's two operating units have several basic design flaws. For example, each of the two reactors has only two steam generators. That is a basic design flaw that cannot be fixed. Most Pressurized Water Reactors have three or four steam generators. Having ONLY a single backup steam generator if one of the two fails has become a serious issue because of SanO's attempts to restart Unit 2 at reduced power due to design flaws inside their new steam generators. All four steam generators were replaced in 2010 and 2011 with a new design that was supposed to last longer and wear better. But on January 31st, 2012 one of Unit 3's two new steam generators sprung a leak, and a closer inspection of Unit 2's steam generator tubing revealed excessive wear there as well. Technically, Unit 3 is "trashed" as one expert put it recently, but Unit 2 might still be operated at lower power -- if you don't mind risking losing Southern California to do it. However, so far no one can figure out a "workable" power level. As of this writing, Southern California Edison hasn't applied for permission to restart either reactor. On the intakes to the steam generators they sometimes put devices called "restrictors". The restrictors narrow the inlets to physically limit the maximum flow of water into the steam generator. If they want to run at reduced power, they probably will need to put properly-sized restrictors on, because it would not only be against regulations to run at a higher flow rate, but it would also potentially be very dangerous. However, this presents a problem if there's an emergency. If one steam generator fails, they would have to cool the reactor with the other steam generator running at significantly reduced maximum flow! That might not be possible. Why not just set the "maximum flow rate" to the amount that might be needed in an emergency, and run at less than that? The answer is that they have to limit the flow because a catastrophic accident might occur if the flow rates are too high. So in essence, they will already be operating at their maximum permissible flow rates. That's why simply telling the operators: "Don't turn that dial past 50%!" won't be sufficient. The entire system is designed to push water through those steam generators as fast as practical, and normally that's supposed to keep happening unless they insert the control rods to shut down the reactor and it starts to cool. But in San Onofre's case, increased flow in the primary loop can cause overheating of the water in the secondary loop, causing there to be more steam than water in the upper area of the steam generator, which can cause tube-to-tube collisions and wear, because steam doesn't dampen vibration as well as water does. This is what caused the radiation leak that occurred in January. So even in an emergency, you can't have excess flow. So that's one problem: Only one backup steam generator. If the potential failure point of concern was somewhere other than a steam generator, that would be one thing, and maybe two steam generators per reactor is enough. But with the potential point of failure being the steam generators themselves, this becomes a "fatal flaw". Another "fatal flaw" at San Onofre is that the problem with the steam generator tubes banging into each other and wearing out too fast can't be fixed by going back to the old design. The old design was made with an alloy (Inconel 600) that had a 10% better heat transfer rate. But that alloy had flow induced vibration problems (i.e., it was too wobbly) AND premature wearing and aging problems (i.e., the "super" alloy wasn't so super after all). Those problems were only partially relieved by the industry's newest alloy (Inconel 690) that the new tubes were made with. There are nearly 10,000 of these tubes inside each steam generator. If one fails, it could cause the whole bundle to fail in quick succession (known as a "cascading" failure). The new tubes had to be thinner to fit in the same space and have the same overall total heat transfer rate as the old tube bundle had. It's possible the designers purposely tried to make the heat transfer rate even higher so they could produce more steam. In any event, they succeeded way too much. They took out a "stay cylinder" in the center of the steam generators in order to fit more heat transfer tubes, which may have added to their vibration problems. In fact, they thought they had lots of better ideas for various other parts of the steam generators -- dozens of areas were redesigned along the way. The whole process took about 10 years. There were hearings, cost estimates, attempts by citizens (including this one) to stop it... same as what's happening today, except the reactors were running at the time. The NRC was assured by SCE that the new steam generators were "like-for-like" and were going to be "plug compatible" after they tore a hole in the containment domes to cram the new steam generators in and take the old ones out. The assurance of "like-for-like" replacement avoided a layer of public scrutiny that might have stopped the project -- or found the problem. At least one Unit 3 steam generator registered a "1.3 g" deviation on all three of its accelerometers somewhere along its journey from Mitsubishi Heavy Industries in Kobe, Japan to SanO. That bump may have contributed to its excessive wear: 1,300,000 pounds (the weight of over 16 fully-loaded tractor-trailer trucks) doesn't take kindly to being knocked around. Before they left the factory, some of the steam generators were rotated many extra times during repairs of cracks found during inspections. Steam generator problems aside, an even bigger problem is all the used reactor cores that are stored on site at San Onofre. Used reactor cores are called "spent fuel" even though they actually are entire reactor core assembly modules, each weighing thousands of pounds. They ARE the "reactor." When they are removed from the reactor pressure vessel, they are thermally and radioactively "hot", and are chock full of "fission products" (i.e., radioactive decay products that are, themselves, radioactive). These fuel bundle assemblies are yet a third fatal flaw at San Onofre -- and at every reactor. Every 18 to 22 months, a third of the reactor core is removed from the reactor and set aside -- forever. For the first five years the reactor cores must be stored deep under water, they are so hot. After that they are precariously loaded into "dry casks" which are recipes for disaster as well. The older the fuel, the cooler it is both thermally and radioactively. Therefore, the safer and safer it becomes -- slowly. San Onofre has many more "fatal flaws" than just these. For example, it's not nearly strong enough to survive large earthquakes that might occur in its vicinity. Its tsunami wall isn't nearly high enough -- just like Fukushima's wasn't. Its backup diesel generators have been left uninspected, have been mis-wired, have had their backup batteries fail, have had vibration detectors set improperly, have failed to start during tests, and their fuel is located below grade and would have to be pumped up through a flotilla of tsunami debris. The sump pump for its emergency core cooling system could become clogged with debris. Workers are intimidated or even fired for reporting safety violations. Any of these problems -- and many more -- might be "fatal flaws" for San Onofre. The solution is to keep it shut down forever, and turn to renewables. The amount of energy from San Onofre (about 2,200 megawatts) has been "replaced" many times over since SanO was built -- sometimes with clean energy, sometimes with cheap natural gas. SanO should immediately be decommissioned and alternative energy options utilized instead. The author is an educational software developer. He has illustrated nuclear reactors, mechanical pumps, the human heart, and many other processes. He has studied nuclear issues for over 40 years and has interviewed hundreds of scientists in related fields. San Onofre Nuclear (Waste) Generating Station: Our Fukushima? Laguna Beach is about as far to the north of San Onofre Nuclear Waste Generating Station (SONWGS) as I am to its south, where I reside in Carlsbad. The waters that go past San Onofre will go past you or me afterwards, depending on current conditions. The winds will do the same. In Japan, they are burning collected radioactive garbage to make it all someone else's problem. Japanese authorities recently opened a beach 40 miles away from the Fukushima reactors for the first time, nearly a year and a half after the triple meltdowns there. However, the plants continue to spew radioactive crud, so perhaps it was still too soon. On the same day, far more Japanese people flocked to protests against nuclear power than flocked to the reopened beach. But you can guess which got more media coverage here in the U.S.A..
Closer beaches to Fukushima remain highly contaminated with plutonium and other radioactive isotopes. A constant resupply of these poisons pours forth from local rivers and streams in Fukushima Prefecture. Some beaches near the reactors won't reopen any time in the foreseeable future, and nor will their towns be re-occupied. Not because of the earthquake, or the tsunami, or "human error", or design flaws, but because the reactors were THERE. They were there, and they were going to be there until they failed. They all will, unless someone stops them. Laguna Beach and Carlsbad are both much closer to San Onofre than 40 miles. Let's not make the same mistake here. We care what happens in Japan, and they care what happens here. We've seen the deformed babies from bomb testing in the Pacific Islands, and from Chernobyl, and we know it is happening in Japan, we just aren't seeing it. Our national regulatory agencies -- the Department of Energy (DOE) and the Nuclear Regulatory Commission (NRC) -- have both failed to protect the public time and again -- their response is "as predictable as clockwork", unlike the reactors they promote (DOE) and regulate (NRC). By law -- a preposterous law -- our state's agencies cannot consider safety issues at San Onofre. But they can -- and do -- ensure that its owners will make a profit. The state agencies forced the bill-payers to pay for the failed steam generator replacement project the first time. I want my money back! Of course, San Onofre isn't another Fukushima -- not yet, anyway. But SanO is already a global, national, state, local, and personal issue for us all. In fact right now, it's the laughing-stock of the world's nuclear fleet. And what ARE the differences between San Onofre and Fukushima? Fukushima's reactors were designed in America. Our steam generators (and many other parts) were made in Japan. America has 23 reactors virtually identical to Fukushima's. SanO's 2200 pounds-per-square-inch (PSI) primary loop is, indeed, a significant difference: It's one more thing that can go wrong! Pressurized Water Reactors, or PWRs, are more complex than Boiling Water Reactors (BWRs) by one whole loop at about 1200 PSI more pressure than the BWR's primary loop (and 1000 PSI higher than a PWR's secondary loop). Both reactor types use enormous amounts of fresh water or sea water for their final coolant if they have "once-through cooling" (OTC) like SanO's reactors have and will always have, since they have been granted exemptions and extensions time and again so they don't have to build "cooling towers" (which still use a lot of water) on the other side of the tracks and highway. At the local level, SanO is front-page news day after day these days: Excessive steam generator tube wear, seismic compliance issues, whistleblower intimidation and retaliation, the list goes on. Thankfully we haven't experienced the "end-game" to all this: A meltdown or other catastrophic release of radioactive byproducts. There has been no Fukushima-type tragedy in America -- yet. Does that fact PROVE that San Onofre can survive EVERY man-made or natural disaster, or have we just been lucky, or untested, or both? There are two ways the nuclear industry (or the airline, space, chemical industry, etc.) prepare for accident scenarios. One is essentially physical, the other is essentially mathematical. The physical technique is called "Design In Depth" (DID). The mathematical technique is called "Probabilistic Risk Assessment" (PRA). Design In Depth requires building engineered solutions for all "foreseeable" accident scenarios. As practiced in the nuclear industry, however, it assumes the designers of the reactors have successfully thought of everything that can go wrong and have properly engineered a solution for it. It assumes that small-scale physical models and computer programs will accurately simulate real-world outcomes of complex thermodynamic processes. It further assumes the construction personnel will all do their jobs properly, and the plant will be properly maintained for decades to come. But in fact, these assumptions are dangerous. Computer simulations failed to predict the flow rates in redesigned steam generators at San Onofre. Traffic in fraudulent parts is a huge problem in the electronics industry, and improper alloys and fabrication procedures is a huge problem in the metals industry and may also be a factor at SanO. All these problems can be very difficult to detect. Probabilistic Risk Assessment assumes that there are things that the engineers cannot design a solution for (within economic constraints, or perhaps not at all): Earthquakes too large and/or too close, tsunamis too high, terrorist actions too difficult for terrorist groups to carry out, meteor impacts, solar flares causing a planetary blackout ... things like that. To every one of these unstoppable occurrences (and many others) a probability is assigned: One in a million, one in ten million, one in a billion, one in a trillion (for meteors, it's assumed to be even less likely than that). After assigning so many zeros after the one, they write it like this: "1 *10^-9" or something similar. Beyond one in ten million, often the engineers are not required to do a thing about it. For example, a dry cask or a spent fuel pool is NOT significantly protected against a jet aircraft impact, and the reactor itself barely is (those domes are for protection for a small hydrogen explosion within (similar to what was seen in Fukushima). San Onofre is directly under several major airline routes. Planes fall uncontrollably from the sky sometimes. Has San Onofre's risk been properly assigned for this and a thousand other dangers? And what if something presumed to have a one in a million, or one in ten million, chance of occurring actually happens? That's where "mitigation" comes in. Before Fukushima, the nuclear industry never talked about "mitigation." Instead, it always assured the public that accidents simply wouldn't happen. After Fukushima, the industry found a new mantra: Mitigation. Mitigation is a gentle term for an awful thing. Crops are destroyed, homes are devalued, entire cities -- yours, mine, and everything in-between and far out beyond -- are destroyed. Lives are lost. Even with a "proper" evacuation -- something the world has never seen -- some number of children in the impacted zone won't survive to adulthood, some number of young adults won't survive to old age. Some old folks will weaken and die before their time, too. Severely deformed beings will die shortly after being born, unable to feed themselves, or even to breath. The number of spontaneous abortions will rise significantly. Cancer is caused by damage to the body's DNA. It often requires a dozen or more progressive changes to your DNA to occur before it manifests itself. These changes often take many years to transpire, which is one reason a constant low dose of radiation can be particularly insidious -- it can accelerate each step. Fukushima might kill thousands of people around the world, but it will mostly impact those who were closest to the plant during its worst days, and those who continue to live in the shadow of its plume. I would not buy land in Fukushima. Around Chernobyl, over sixty cities have been abandoned for a quarter century already, and will remain abandoned (by people) for decades or even centuries to come. Animals cannot read "no trespassing" signs and do not carry geiger counters; they cannot detect the radiation around them in any way. Many of them -- wolves, rats, predatory birds, vultures, and others -- will eat their deformed young, and "simply" have more young. But that's not really a "healthy" environment. Even so-called "low-level" radioactive emissions are dangerous, and can destroy thousands of molecular bonds inside living cells, causing inflammation as well as cancer, heart disease, and even loss of brain function. The list of ways radiation harms us is far longer than this essay. If SanO melts down, people will not buy land here. Our homes will be lost forever, with no compensation: The federal Price-Anderson Act limits a utility's liability to fractions of a penny on the dollar. We have all been users of San Onofre's electricity. Thus we have all been generators of its waste product, known as "spent fuel". We have all ingested its poisons, such as the (poorly measured) radioactive noble gases it releases constantly during operation, or the -- slightly better measured -- 300 to 1000 curies of tritium it also releases every year when it's operating. Tritium is so deadly, that the normal legal release limit for the entire reactor, for the entire year, is about a thirtieth of a teaspoon of tritium. Tritium is one of many extremely hazardous elements -- some of which do not exist in nature at all -- which are produced in copious quantities at San Onofre. These are personal issues for me, since I had bladder cancer a few years ago at the tender age of 52 after living in Carlsbad for the past 20 years. The radiation from tritium is a known cause of bladder cancer. So is cigarette smoke, but I do not smoke cigarettes. I was successfully treated surgically, but thousands of Americans die each year of bladder cancer, and recurrences are not uncommon. I'm not out of the woods. I never will be. Nobody is. But what are the chances? What should we worry about? I sure wouldn't smoke cigarettes! One has to properly multiply "consequences" by "chance of occurrence" to determine overall "risk". But the nuclear industry underestimates the first two, and thus the third, all the time! I believe the local communities' biggest danger is a massive release of radioactive fission products from a zirconium fire. This is what happened at Fukushima. Far worse accidents are also possible, but are (I hope), also far less likely. * The reactor itself, where the core assemblies are self-irradiated through a sustained critical reaction for 5 to 6 years, and then replaced. Approximately one-third of the core is replaced every 18 to 22 months. The nuclear reaction produces enormous amounts of heat and fission products, and also produces plutonium, which is about 100,000 times more toxic than uranium and can be extracted for use in nuclear weapons (or used as a "dirty" bomb right where it is). * The spent fuel pools, where very-hot reactor cores (full of fission products, plutonium, and "decay heat") are left to cool for a minimum of five years. 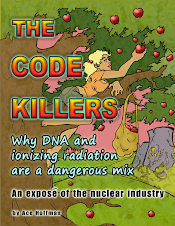 Half a decade is long enough to cool them thermally more than 99%, and much of the radioactivity is also gone, but it will take hundreds of thousands more years to completely reduce the radioactivity to so-called "safe" levels. * Dry casks, which need convective currents of inert gases since the zirconium fuel rods are highly combustible -- especially if they come in contact with various chemicals commonly shipped by rail and truck. Every dry cask is an additional potential disaster-waiting-to-happen, but dry casks have been used by the nuclear industry as the latest invention to get around various laws requiring "proper" disposal of their waste. A few years ago, dry cask storage was approved by the CPUC for California after the NRC had approved dry casks nationally as a "safe" way to alleviate the "overcrowding" in the spent fuel pools (closing the reactors permanently would have been a much better idea, and still is). The oldest used reactor cores at SanO are being hastily transferred to dozens of "dry casks", with no real plan for the future except to construct more and more dry casks, and leave them there, turned sideways and piled three high, for perhaps as long as 300 years. This is happening despite whistleblower warnings of fabrication problems and despite problems with other dry cask systems around the country (google "Oscar Shirani", an ASME-certified instructor and whistleblower on dry cask problems, who died of a brain tumor a few years ago). "SONWGS" is a danger to us all. After years of denial by the nuclear industry, Fukushima proved that all reactor designs have fatal weaknesses. All are built and operated by fallible, corruptible, imperfect human beings. And if Fukushima didn't prove it, San Onofre's own problems have done so. In Japan's case, three reactors melted down. In our case, the steam generators failed, which could have been just as catastrophic as Japan's meltdowns were -- or even worse (at least an order of magnitude worse -- per reactor). SanO's energy output has not been missed all year. Renewable alternatives are available to fill the gap: We don't have to replace SanO with coal, oil, OR natural gas. It would be good for our local economy AND our environment if San Onofre never operates again. A concerted effort towards solar rooftops, offshore wind turbines, passive heating and cooling, stored energy, and conservation would save Laguna Beach residents millions of dollars every year in energy costs. It could even allow Laguna Beach to become a net exporter of energy! The entire state of California can become a net exporter of clean energy within just a couple of years, but for that to happen, we all must do our part. And we must keep SanO shut down forever. My pdf on dry cask storage: NOT safe. Not cheap, either. Last Thursday (August 2nd, 2012) the California Public Utilities Commission (CPUC) was expected to initiate a "thorough" investigation of the problems at San Onofre Nuclear (Waste) Generating Station (known as SONGS instead of SONWGS because the waste issue is ignored). The commissioners said they want to rewrite the plan for the OII in the meantime. They apparently want to narrow the scope. That way, they won't consider any of the pervasive problems, the generic problems, or even the obvious problems like the tsunami dangers highlighted by Fukushima. They won't redo the cost/benefit analysis for the citizens of California in light of everything that's come to light in recent years about San Onofre, such as the backup diesel generator problems, reactor pressure vessel head problems, backup battery problems, wiring problems, fire safety problems, grid stability problems, seismic problems, etc.. They won't consider the impact of the "waste confidence decision" in federal court recently, or of the lawsuits filed by reactor owners (including SCE) because the federal government hasn't taken possession of the used reactor cores as promised in the Nuclear Waste Policy Act of 1982. The Act accomplished the goal of keeping the nuclear industry going with the promise that the federal government would take possession of the fuel -- an impossible expense for the industry otherwise, but an impossible promise to keep. If the utility gets either unit at SanO operating, even at 50% power (or less), and even for only a short while, you can rest assured the CPUC will try to skip the OII entirely. And let SanO keep making more waste. Never mind that we all know Unit 3 can't be restarted -- PERIOD -- and shouldn't that initiate an investigation? Never mind that Unit 2 can only be restarted if the more dire consequences of failure are ignored completely. Never mind the waste heat and radioactive effluents (such as noble gases) that will be released for eons to come from the used reactor cores -- or the cumulative expense of storing those old reactors for thousands of generations. Never mind the zirconium fires which, once started, are impossible to put out and would release ALL the fission products within. Never mind a criticality event. Instead of doing their sworn duty regarding investigating the problems on top of problems at San Onofre, the commission, headed for the last nine years by Michael R. Peevey, kicked the hot potato down the road for at least another three months. "President" Peevey seemed more like a dictator as he interrupted the other commissioners after asking them for their opinion. Instead he should have admitted his many ties to San Onofre and recused himself from the discussion entirely. But since regulating San Onofre and Diablo Canyon is the main purpose of the CPUC and he's been doing it for years, that wasn't about to happen. Peevey was president of SCE until 1992, having started as a vice president there just as reactor units 2 and 3 went online after years of delays and cost over-runs. He worked directly under the future -- and now former -- Commerce Secretary John "it was just bad judgment" Bryson, who was chairman and CEO of SCE at the time Peevey worked there. At the hearing on Thursday, Peevey didn't mention the junkets he goes on with the current executives of his former company, to Spain, Italy, Brazil, South Africa and elsewhere (but NOT to Fukushima). He didn't mention where his wealth came from or his retirement income comes from, nor the industry-funded "clean air" organization he heads, which funds just enough green energy projects (a few tens of millions of dollars' worth) to make him look green to someone -- someone in the media. Perhaps SCE could cut off his pension for malfeasance! Peevey could resign from the CPUC because these steam generators were HIS problem: He approved their original design (as head of the CPUC at the time) and was just as culpable as anyone else for misunderstanding the engineering, trusting the computer program's output, trusting "experts", and forcing the ratepayers (bill-payers) to cover the costs so SCE could make a profit no matter what happens. Peevey and the CPUC have looked the other way while San Onofre's management has intimidated and retaliated against whistleblowers. Despite the intimidation and retaliation that occurs there, more safety complaints have come out of San Onofre than from any other plant in the nation. What part of a nuclear power plant is the reactor? The so-called fuel -- it's the one thing that's common to ANY reactor design, so clearly, "the reactor" IS the reactor core: The physical configuration of Uranium and Plutonium "fuel assemblies" that can achieve "criticality" until "burn-up" is achieved of the U-235 and/or Pu-239 components. Every part of a nuclear power plant -- without those deadly assemblies -- is just a "conventional" power plant of some sort, minus a heat source. The pumps, pipes, valves, vessels, electrical cables, control systems, and so on are all basically the same until you get to the reactor -- and its safety systems. (which may or may not work). The law provides that there will be no new reactors in California until the waste problem is solved. Yet currently, every 18 to 22 months, one third of the reactor -- the core, the heart, the cauldron -- is replaced, resulting in a completely new reactor every five to six years. The deadly used reactor cores sit on site because there is nowhere to put them. Shut-down is the only reasonable option, and Michael R. Peevey should resign from the CPUC. Anti-NUKE Activists Speak Out At CPUC On San Onofre NUKE Plant "Shut It Down"